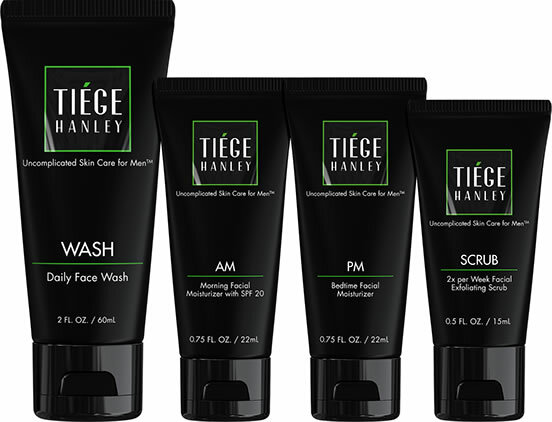 Since I talked about skin care products a few months ago and gave a few recommendations, I felt compelled to tell you about my new favorite skin care company, Tiege Hanley. I’ve been using the Tiege products almost exclusively for the last few weeks and I must say, I’m impressed. They have three different kits (more included items as you go up). I bought the Level 2 kit which includes the face wash, scrub, AM moisturizer, PM moisturizer and the eye cream. I’ve never really done anything specific for my eyes, so I really wanted to try something to target eye wrinkles. So far, so good. I don’t look 10 years younger or anything crazy, but my face is less dry and I do think my skin looks smooth and more hydrated. The products seem to work as advertised and the price is ridiculously affordable. Dare I even say, cheap. If you’re currently on a regimen, good for you. If you’re not, this may be the perfect time and the perfect products for you. Jump over to www.tiege.com and check out the product videos to learn more. If you want your face ultra-clean, combine the Face Wash with the Clarisonic Alpha FIT linked below. I have bad eye wrinkles how much of a difference does it make?